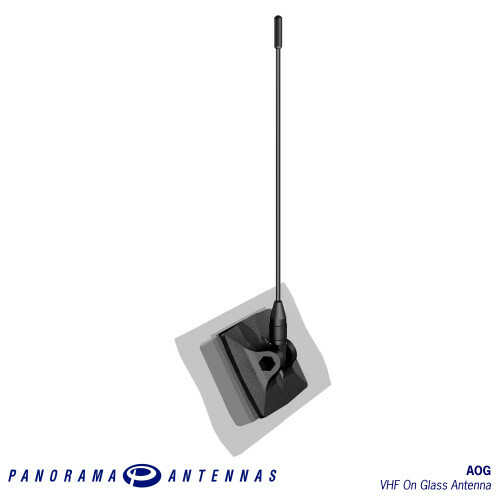 The Panorama On Glass antenna requires can be quickly and easily installed on a windscreen or rear window without making any holes or using any tools. 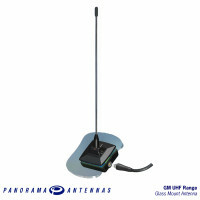 The installed antenna will have a typical VSWR of 1:5:1. 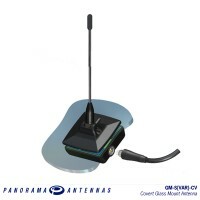 The antenna couples capacitively through the glass and its high positioning give it the high performance and near omni-directional radiating pattern of a roof-mounted 1/4 wave antenna. 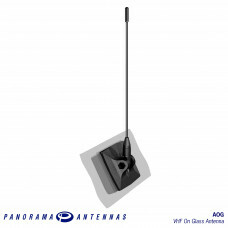 This antenna can be easily removed for the car wash and if you wish to transfer the assembly to another vehicle, the coupling box and mounting foot can be removed without damage, leaving the glass in its original state.